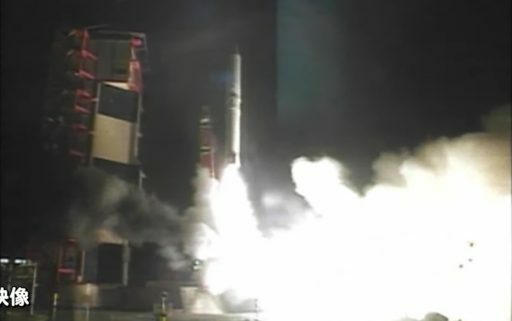 Epsilon provided an impressive show as it lit up its powerful first stage at 11:00 UTC, 20:00 local time and shot toward the sky under the loud rumble of the first of its three solid rocket motors tasked with powering the vehicle into orbit. The first stage – a modified Solid Rocket Booster of Japan’s H-II rocket series – pushed the 26-meter tall rocket out of the atmosphere, allowing the payload fairing to drop away prior to ignition of the second stage that has been modified to hold more propellant and deliver a greater kick to send its payloads toward orbit. 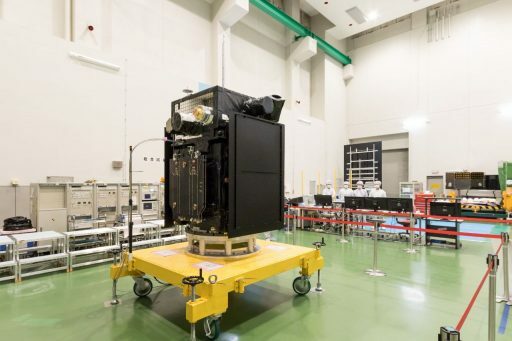 Stage 3 finished the high-speed delivery into an orbit peaking over 33,000 Kilometers in altitude for the 365-Kilogram ERG satellite to be released thirteen and a half minutes into the mission. 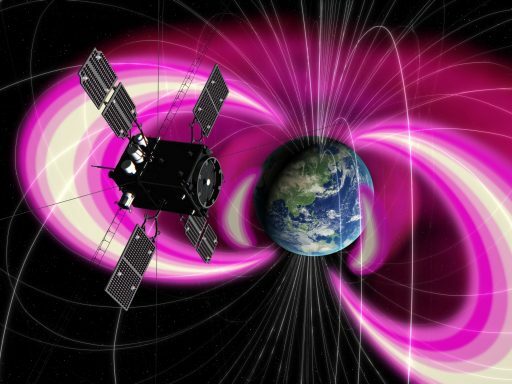 ERG – the Exploration of Energization and Radiation in Geospace mission is operated by the Japan Aerospace Exploration Agency to study Earth’s radiation belts and processes ongoing therein, responsible for Space Weather phenomena that can impair the operation of satellites and affect the health of crew members in orbit. 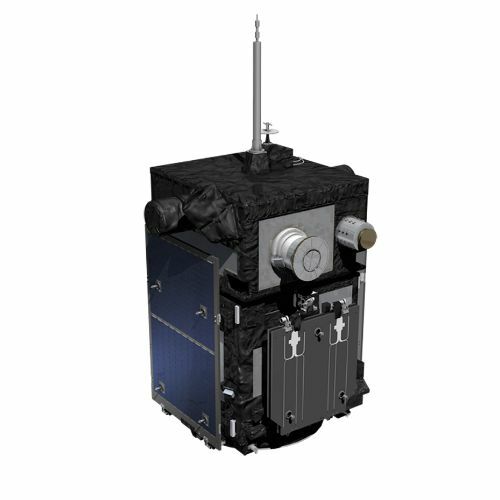 The 1.5 by 1.7 by 2.7-meter satellite, once confirmed healthy in orbit, will deploy four solar arrays for power generation plus a pair of five-meter rigid booms and four 15-meter long wire booms that sweep through a sea of energetic particles and highly variable electromagnetic fields surrounding Earth. Discovered by James Van Allen in 1958 with instruments on the Explorer 1 satellite, Earth’s radiation belts have been a subject of intense study ever since. The Van Allen Belts are highly dynamic regions of particle acceleration and energy transfer, typically exhibiting a structure of two belts, in inner and outer belt, plus – as recently discovered by NASA’s Van Allen Probes, a third belt that occurs during periods of active space weather events. A large population of electrons within the Van Allen Belts is subject to processes that cause them to form and vanish. ERG aims to reveal the mechanisms that drive the creation, acceleration and loss of high-energy electrons to help understand how space storms form. ERG joins a number of previous and future missions devoted to piecing together the processes at work within the belts, responsible for their highly dynamic structure and response to external phenomena such as solar wind interactions. 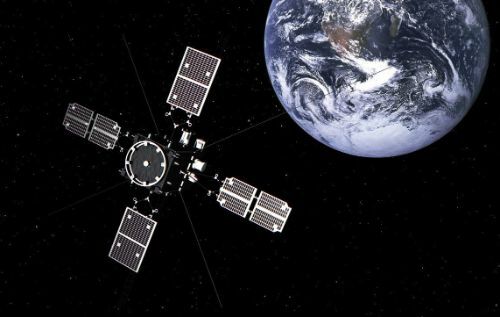 The highly elliptical orbit of the mission allows ERG to collect in-situ observations in the Van Allen Belts, reaching peak altitude within a region of the outer radiation belt where the most intense electron acceleration processes occur. ERG carries an instrument suite to obtain a complete inventory of charged particles across a wide energy range, plasma properties and electromagnetic waves propagating through the belts and responsible for accelerating particles. 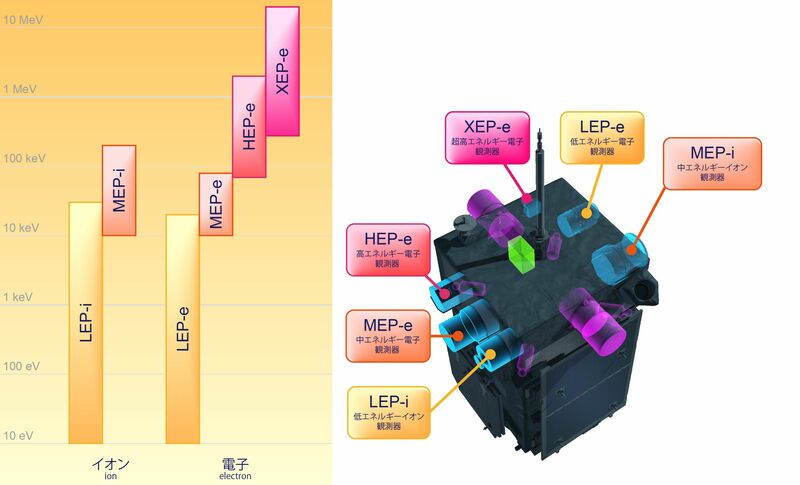 The Plasma and Particle Experiment (PPE) onboard ERG comprises four electron sensors and a pair of ion sensors to collect data on particles at all energies up to relativistic speeds – approaching the speed of light. The Plasma Wave Experiment (PWE) hosts electric and magnetic sensors on the various appendages of the ERG spacecraft to measure electric and magnetic fields up to high frequencies of 10 MHz and 100kHz, respectively. A third instrument carried onboard ERG is what makes this mission unique: The Software-Type Wave Particle Interaction Analyzer (S-WPIA) is a processing system that collects data from all sensors and attempts to directly measure the interaction of particles and waves in near-Earth space for a quantitative measurement of the energy transferred between waves and electrons. This direct measurement has not been possible in the past. 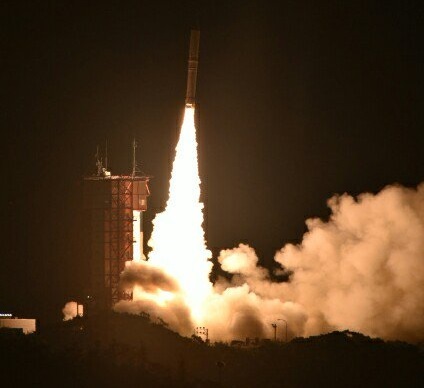 The main point of interest for ERG are electrons, studying how electrons are accelerated within the radiation belts and lost from them through precipitation processes. Ultimately, data from ERG will hopefully further the current understanding of the incredibly complex cross-energy coupling driving highly-energetic space weather processes. 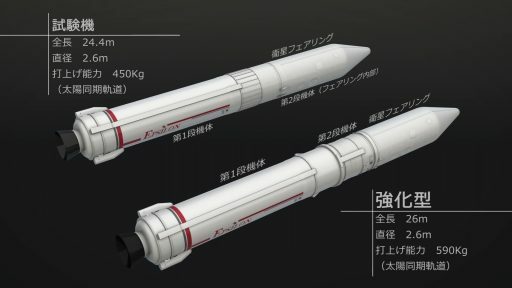 Called upon for the launch of ERG was Japan’s new and improved Epsilon rocket, referred to as the Enhanced Epsilon – born out of an original Epsilon design flown for the first and only time in 2013 with a number of modifications made to the three-stage rocket to increase its performance by 30%. 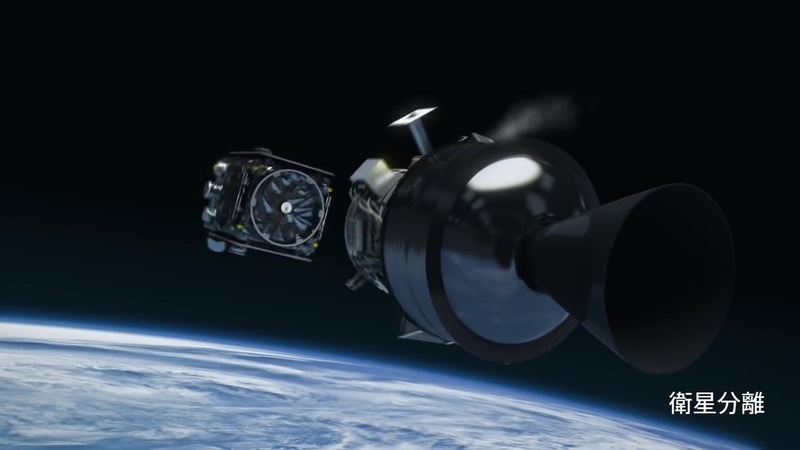 Improvements focused on stripping the rocket of dry mass, beefing up the second stage to hold more propellant and eliminate complex, deployable nozzle extensions from the second and third stages to make them more robust. 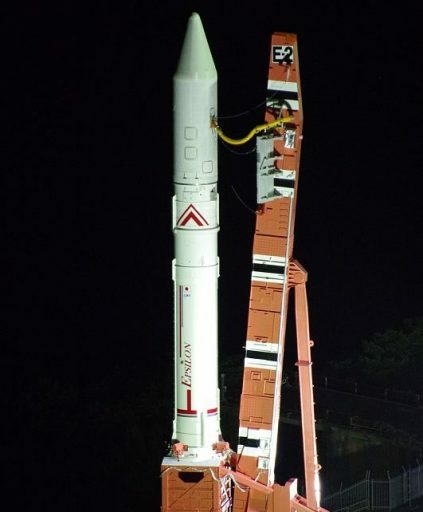 Due to the use of a larger second stage and rigid nozzles, the enhanced version of Epsilon stands 26 meters tall, growing by around 1.6 meters compared to the vehicle flown in 2013. A welcome side effect of the second stage modification is a larger volume under the payload fairing because the 9.2-meter long fairing no longer has to protect the second stage, allowing Epsilon to accommodate taller satellites. Epsilon is the replacement for Japan’s M-V rocket that has been retired in 2006 due to its excessive launch cost of up to $90 million per flight with Epsilon currently coming at under half that price with future reductions planned as the vehicle matures. The Epsilon rocket was designed with cost minimization in mind – using proven components, streamlining the launch campaign and employing a high-degree of automation during countdown and flight operations. Weighing in at 95 metric tons, Epsilon employs a modified SRB-A3 booster as first stage – borrowed from the H-II rockets, an M-35 second stage originally from the M-V rocket but heavily modified to hold more propellant and switch to a different fuel formulation, and an KM-V2c third stage also modified from the M-V design. A Post Boost Stage can be added to the Epsilon for precise injection into circular orbits around Earth, but ERG’s high-energy delivery only required the raw power of the three-stage stack. Epsilon entered countdown operations three hours prior to the opening of the day’s hour-long window when the launch table was rotated out of the Service Structure to position the rocket for liftoff. Power-up on the vehicle came at T-2 hours 40 minutes for a series of automated checkouts, all in the control of ROSE – the Responsive Operation Support Equipment, in charge of all countdown events to T-1 second. With a clean vehicle, clear range and acceptable weather, teams configured ERG for launch by T-15 minutes and allowed Epsilon to press into a 70-second terminal countdown phase. The rocket switched to battery power at T-55 seconds, armed its pyrotechnics, switched to flight mode and completed the irreversible step of powering up the thermal battery driving the thrust vector control system on the first stage and igniting a solid-fueled side jet for roll control during flight. Upon ignition of the first stage, Epsilon jumped off from its sea-side launch pad with a thrust of 220 metric-ton-force – lighting up the night skies over Uchinoura as it quickly gained altitude and transitioned to an easterly departure that would shift further to the south later in the flight. With a thrust exceeding its weight by a factor of 2.3, Epsilon rapidly accelerated through Mach 1, its first stage burning 600kg of propellant every second of powered flight. 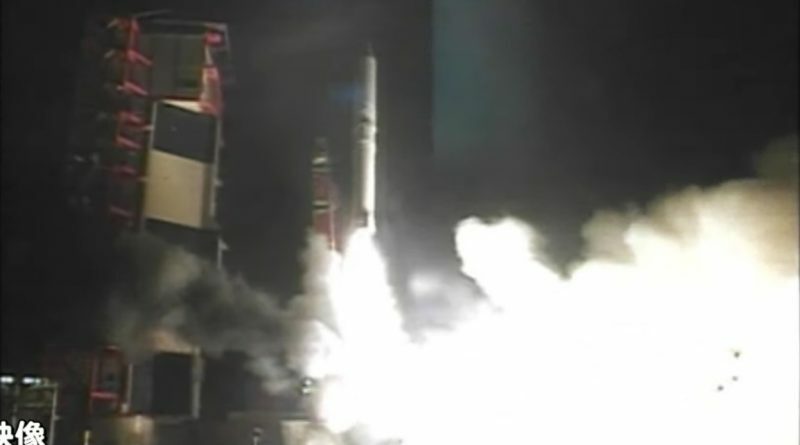 Thrust on the first stage tailed off 109 seconds into the flight after accelerating Epsilon to a speed of 2.5 Kilometers per second for a brief ascending coast phase. Passing 115 Kilometers in altitude two and a half minutes into the flight, Epsilon split open and separated its fairing halves to shed no-longer-needed weight as it had left the discernible atmosphere by that point. The 11.7-meter long first stage separated from the stack at T+2:41, clearing the way for M-35 ignition to generate 45 metric ton-force of thrust for a 129-second burn. Taking advantage of a 15,000-Kilogram propellant load, the second stage fired 27 seconds longer than its predecessor and accelerated Epsilon to nearly six Kilometers per second. After burnout on the M-35, Epsilon again entered a coast phase so that the firing of the third stage was placed correctly to set the proper location of the high point of the injection orbit, taking ERG through the highly dynamic region of the outer radiation belt. The spin-stabilized KM-V2c fired up six and a half minutes into the mission, generating a peak thrust of ten metric tons to increase the vehicle’s speed to 10.2km/s at the moment of injection into what was planned to be a 219 by 33,200-Kilometer orbit, inclined 31 degrees. The propulsive phase of the flight appeared to be by the book and the third stage spun down following residual thrust tail-off to set up for separation of the ERG observatory. The small ERG spacecraft was sent on its way thirteen and a half minutes after liftoff, sailing off to study the complex dynamics of space weather. A formal announcement of launch success will be provided by JAXA after the health of the satellite is confirmed later in the day.